Dear Pregnant Friend - We are here to help you and your preborn baby. Whatever you do, please do not abort your baby! There is help for you and your baby. That is why this website was created. If you do not find the location here, click on the website(s) below for other shelter locations & information. Please don't let anyone talk you into aborting your baby. Nothing you do will ever bring your baby back. Give us a chance to help you. We are praying for you. Ask God for help. He is waiting to hear your prayers too. Check out these resources & contact us if you have any other questions at lifecall@aol.com or call 1-800-662-2678. God bless you and your baby - from all your friends at the Several Sources Shelters. OTHER SHELTERS - when you see the map, click on state of your choice. Several Sources Shelters in a non profit organization which operates shelters in New Jersey for pregnant women and their children and this active website. If you want to VOLUNTEER or have items to donate in any state but New Jersey, please click on your state of interest in this website and contact a group of your choice. If you need shelter & decide to email us for help, please include your city/state/zip code in your email. ADVICE: When you call these numbers, if you don't find what you need, ASK THE PERSON FOR OTHER SHELTERS. They may know of places we do not have. Temporary, emergency shelter for adults 18+ yrs of age; pregnant women welcome, but no children allowed. Temporary, emergency 24-hour shelter for pregnant women and women with children; must be 18+ yrs of age. Shelter for adult and child victims of domestic violence and sexual assault. Shelter for single women (and men). Domestic violence shelter for women and children (or pregnant women) at imminent risk. Shelter for homeless families; average stay is 30 days. 18 years or older / don't accept with other children / stay 16-18 months. Women may bring their children. Emergency shelter for women; financial support for families. Short-term (~1 week) shelter for ages 12-17; will accept a pregnant youth only if she is in first 2 trimesters of pregnancy. Transitional housing for families/women with children. Shelter for pregnant women and/or women with children. Maternity home for women ages 18-26. For women and children, or pregnant women in their 3rd trimester. Transitional housing for individuals and families. Shelter for individuals and families. 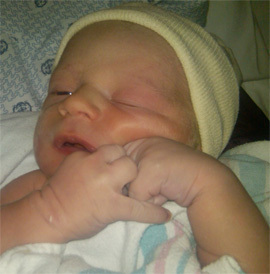 Prolife / no age limitation / for single women, pregnant women, or women with children. Maternity Homes of Fox Valley, Inc.
Maternity home for teens ages 12-17. Pro-life / 18+ yrs / shelter for pregnant women & women with children. Pro-life / shelter for pregnant women 18+ yrs / women with children accepted / counseling services available. Shelter and stabilizing resources for women and their children. Up to 25 days of emergency shelter and up to 5 months of transitional housing for single women and/or women with children. Emergency shelter for youth, ages 11-17. Emergency shelter for adult women. Emergency shelter and 2-year recovery center for single women, as well as women with children. Two-year transitional housing program for homeless, single mothers and their children. For women in recovery from substance abuse/ may bring their children/not a pregnancy center. Women with children are allowed. Maternity home for ages 12-21 / can stay until the child is 1.5 yrs. Maternity home for pregnant teens and new mothers, ages 10-18. Lawrence Women’s Transitional Care Services Inc. Domestic violence shelter for ages 18 and up or emancipated; women with children are allowed. Maternity home for women under the age of 21. Pregnant women that decide to parent / 18+ yrs / accepts women with drug addiction (children under the age of 2 can come with mother). Pro-life / 18+ yrs pregnant and/or parenting / child services / parenting help / 4 group homes. Pregnant women that decide to parent / Maternity group home for women 16-21 yrs of age. Battered Women’s Project - New Visions for Women, Inc. Pregnant women that decide to parent / For victims of domestic abuse. 18-30yrs. old / Mother can bring in one child (DEPENDING ON SPACE) / there is a phone screening and office screening, also medical clearance from her doctor / 4 beds are available only. Pro-life / no age limitation / for victims of domestic violence; children can come. Pregnant women that decide to parent / 18 yrs + / open to pregnant women, but cannot bring other children. For ages 18 and up; women with children are allowed. Family shelter for ages 18 and up; women with children are allowed. Steele County Transitional Housing Inc.
Ages 18 and up preferable; women with children are allowed. Shelter for ages 18 and up; women with children are allowed. 30-day shelter for women (pregnant or not pregnant) with children. Emergency shelter (up to 3 months) and housing for women and children who are victims of domestic violence. For victims of domestic violence or sexual assault; children are welcome. New Dimensions Development Foundation, Inc. Transitional housing program for women and children. Pro-life / maternity home for women 19 yrs and older; cannot bring children with them. 18+ yrs / domestic violence shelter. Maternity home accepts women 17+ yrs and up to 1 child. Provides help for pregnant teens, including food, supplies, and shelter. Pregnant woman must have children; must call before coming in for interview. For young pregnant women, generally aged 17-22; can stay up to 2 years. Accepts women with drug addiction. Office Address: 257 West Broad St.
- they house 18 yrs to 25 years old. - it is a transitional house and they could stay up to 2 yrs. - not more than 2 babies. Can only take women up to the age of 21. Pregnant women that decide to parent / 30 day program only / will only take pregnant women if 1-5 months / youth shelter for ages 17 and under. Pro-life / 18-21 yrs only / pregnant mothers only / would like if the mother has no contact with the baby father. Prolife / for teenage girls, ages 11-17. Maternity home for women 25 yrs and under. 18+ yrs / No boys over 10 allowed. 18+ yrs / Long-term shelter for pregnant women who are homeless, abused, or addicted to drugs/alcohol. Prolife / For teenage girls, ages 13-19 (will take other ages for temporary shelter). Pregnant women that decide to parent / ages 18 and up; women with children are allowed. Prolife / ages 18 and up; women with children are allowed. Ages 18 and up; women with children are allowed. Prolife / No age limitation / maternity home for adolescents. Prolife / 17 yrs and younger / maternity home for adolescents. 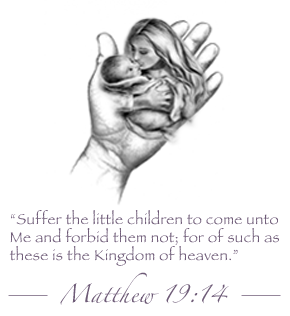 Hope House of Cherokee County, Inc.
Prolife / maternity home for women 18+ yrs of age. Prolife / residential program for women 18+ yrs of age who are pregnant or parenting. Prolife / no age limitation / adolescent emergency shelter. Only accepts pregnant women for day service, as well as women with children. Helps those who are at risk of becoming homeless with rent. No age limitation / pregnant women may come if they are in their last trimester. Accept 18+ yrs old up pregnant moms / can stay 6 months after birth. 18+ yrs / men, women & families / stay depends on case manager / provides 3 meals per day / provide programs such as GED, free clinic, etc..
Maternity home for women ages 12-21. Must have minor children as well as being pregnant. Up to 90 days stay. Accepts women who are 1-6 months pregnant. Up to 4 months stay. Must be 18+ yrs of age; up to 2 years stay; women may bring children. Residential housing for up to 6 months. Ages 13-28. Up to 45 days stay. Domestic violence shelter; children may come. Shelter for individuals and families; stay is usually about 4 months. Domestic violence shelter; children may come with their mother. Emergency shelter for pregnant women and/or women with children. Must have a car and a full-time job in order to be accepted into the home. Pregnant women may bring their children with them. Shelter for single/pregnant women and families with children under the age of 12. Women may come while pregnant, but must leave after baby is born. Maternity home for women 18+ yrs of age; may not bring other children with them. Must be 6 months clean and sober. Accept women who are pregnant or have an infant(s); mom and baby can stay until their baby is 18 months old.